The great sages of India called the early hours of dawn as ‘Brahma Muhoortha' - the hour of the gods. It is the period of time most conducive to meditation on the divine forces. 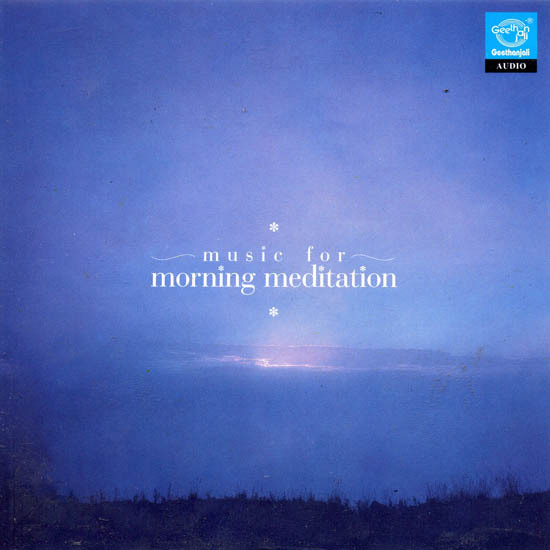 Music for morning meditation builds on the potent vibrations of early morning with the powerful Ahir Bhairav raga. The limpid notes recreate the cool tranquillity of dawn and establish harmony and happiness in the individual. The mind is enlivened and feels divine exhilaration. This is followed by a beautiful tonal poem to Ushas, the beautiful Vedic goddess of daybreak. The roseate and golden hues of the Skies are mirrored in the captivating strains of charukesi. The exquisite beauty of creation unfolds in wondrous cadences. The energising power of the magnificent Sun is then set forth in the puissant notes of Bhoopali. The final dhun underscores the fact that all work is worship of the divine. In the first track Raag Ahir Bhairav is played. Alaap and Jod. In the second track, Raag Charukesi unfolds in Dadra (Six beats) The third track features Bhoopali in Keharawa (eight beats) The fourth track has a yaman-based dhun in a four beats cycle. Baiju is a talented Sitarist based in Chennai. Born and brought up in Tamil Nadu he belongs to a family from Uttar Pradesh. He had his musical training under Ustad Mohammed Khan of the Itawah gharana. 2. Hymn to Ushas, the Vedic goddess of Dawn.